The night kicked off with a typically awkward (LOL) speech from the organisers as they set out to introduce the exhibition and conduct the obligatory thank-you’s. Interestingly, CT shared that he first connected with Sonny in the early 90s about collaborating on a book, which they never did. 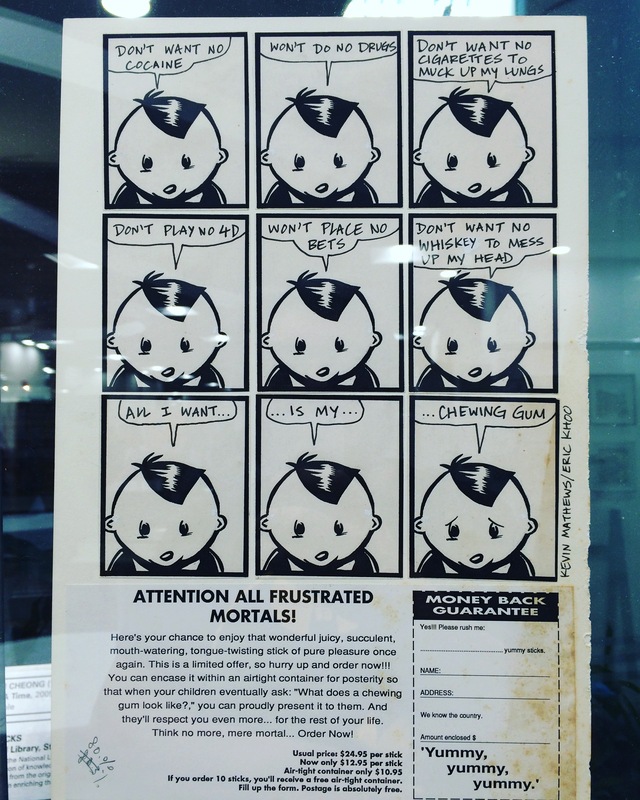 Of course, as always, the exhibited works held nostalgic value for me as I had worked on a few comic strips with Eric Khoo back in the 90s with BigO magazine. Who would have thought that that would be held up as pioneering work, two decades ago? Fake it till you make it, kids. 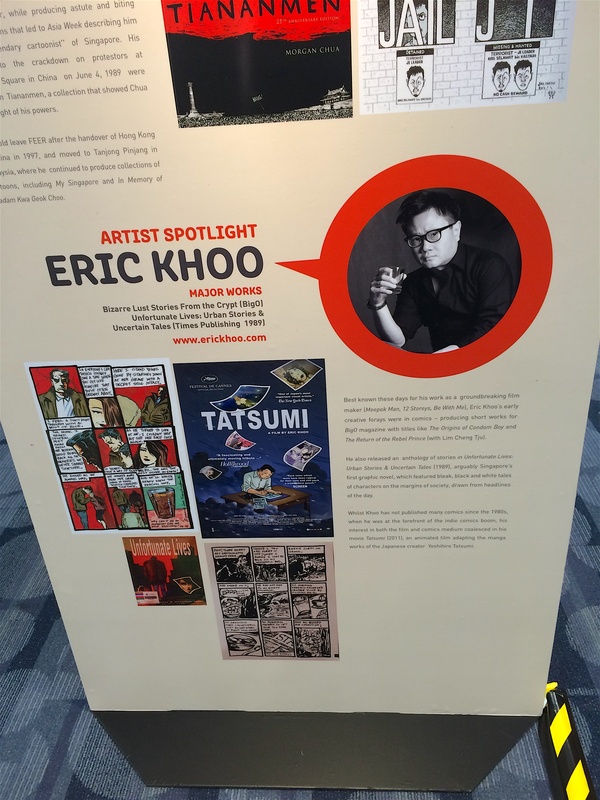 Naturally it was exciting to see good friends featured like Eric Khoo. Not many are aware that Eric was a cartoonist before becoming a film maker. 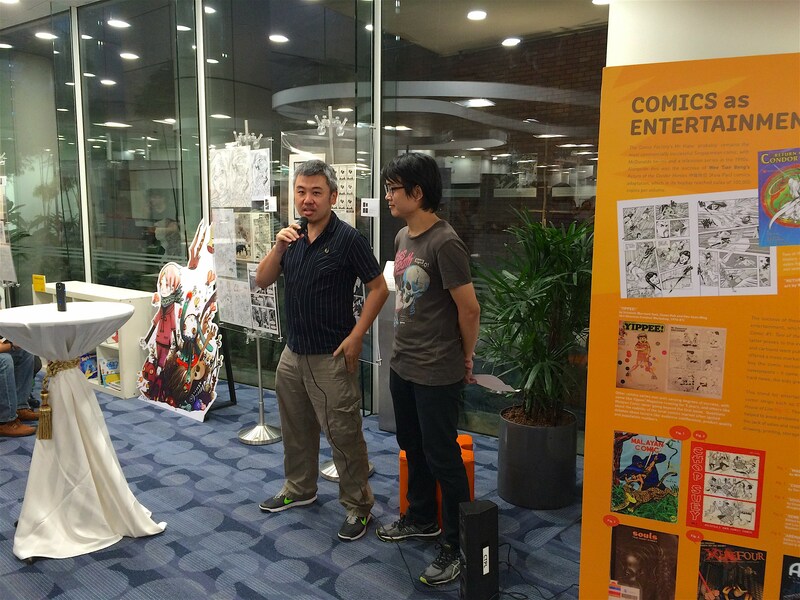 In fact, that’s how we met – we were tasked by BigO magazine to work on comic strips together in 1990! Key moment in my life, for sure. 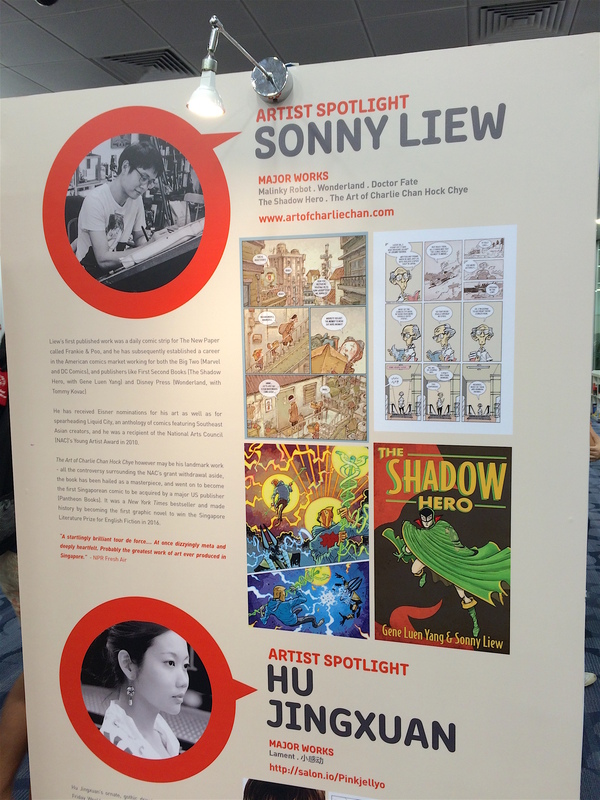 Sonny has come a long way since the first time I met him and am glad that with the raising of his profile with The Art of Charlie Chan Hock Chye, he has elected to give back to the local comics scene (such as it is) by organising this excellent showcase. 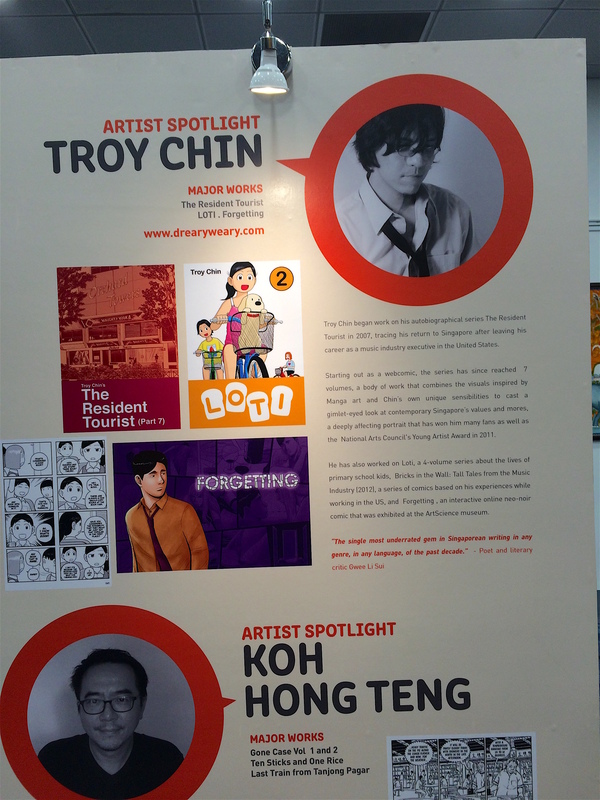 And of course, there is Troy Chin. I have come to appreciate Troy as a kindred spirit – regular visitors will know that I am a huge fan of his Resident Tourist series and we had a great time re-connecting, with the upside of finding out that he has tons of new stuff in the works. Can’t wait! 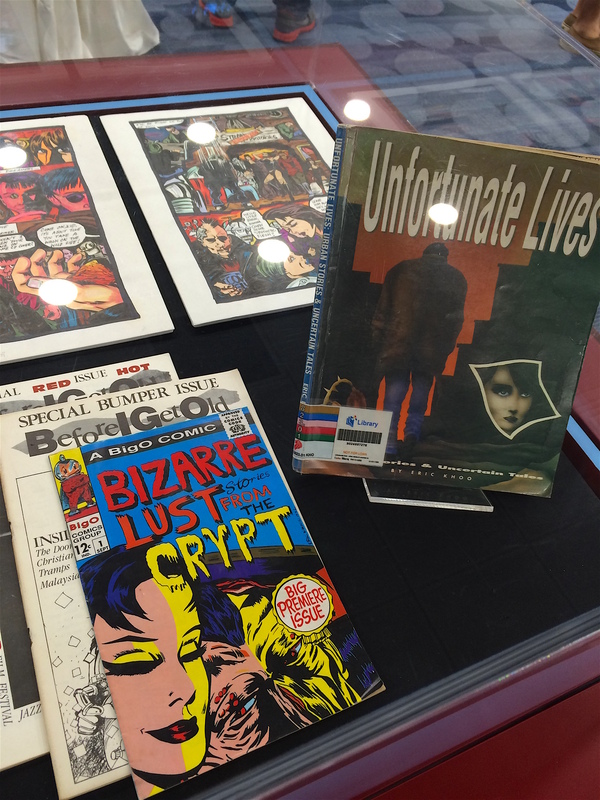 The exhibition will be open till the end of the month, with many talks about the comic book art form organised to whet every appetite. 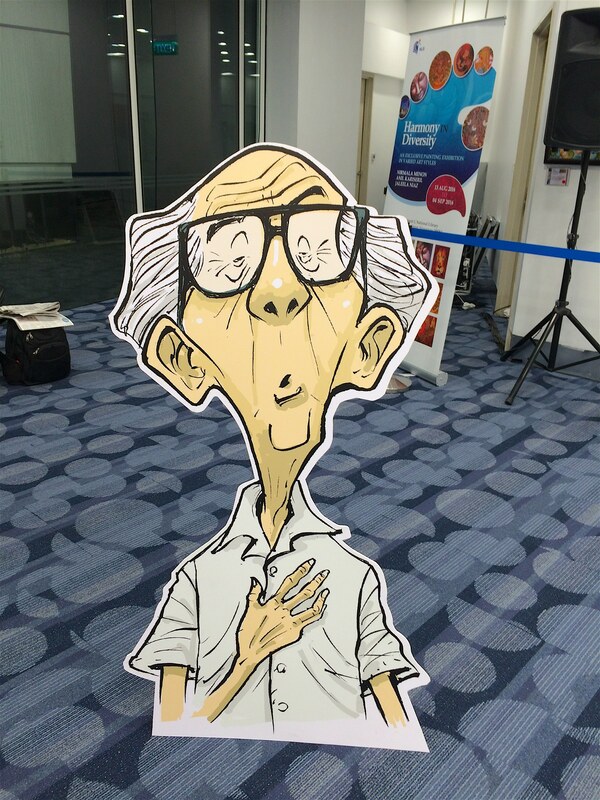 Find out more at http://speechbubble.sg/. Previous Previous post: LISTENING BOOTH – THE NEW ROCK N ROLL FT. JUNK, CEASEFIRE, COMMUNIST DAUGHTER, HONEYBUCKET & BEN FORD-DAVIES!! !